It was yet another ponycar-like automobile from Europe. 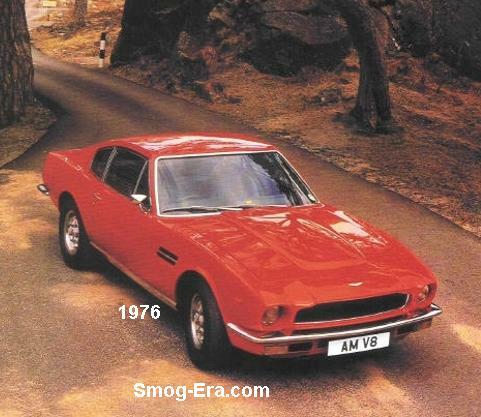 Aston’s 2-door 4-seat coupe simply named ‘V8’ was in its second model year as of 1973 and stickered for $22000. The wheelbase under it was 103 inches. The overall length was 180.5 inches. Weight was porky at 3850lbs in the beginning, though later models approached 4100lbs. Many folks like to think that the general side-view looks like an early Ford Mustang. 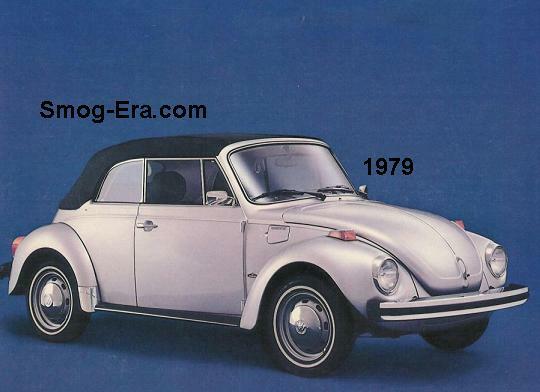 For 1973, the fuel delivery system actually got taken went backwards, dropping the previous year’s fuel injection and replacing it with Weber carburetors. Regardless, this car was a powerhouse. The standard engine was a 5.3L DOHC 4x2bbl V8. In early cars, it made 350hp and 400 ft/lbs of torque. Later models went to just the upper 200 range for both numbers. 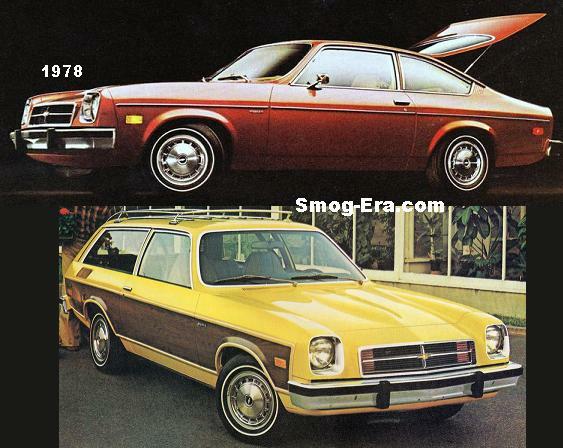 Available transmissions were a 5-speed ZF manual or a 3-speed Chrysler 727 Torqueflite automatic. To keep the car slowed down around town, the rear gear ratio was just 2.88:1. Top speed was 145mph and a 60mph sprint took 6.2 seconds. For those who wanted even better performance, a 5.3L DOHC 4-2bbl High Output V8 was offered, with around 406hp. 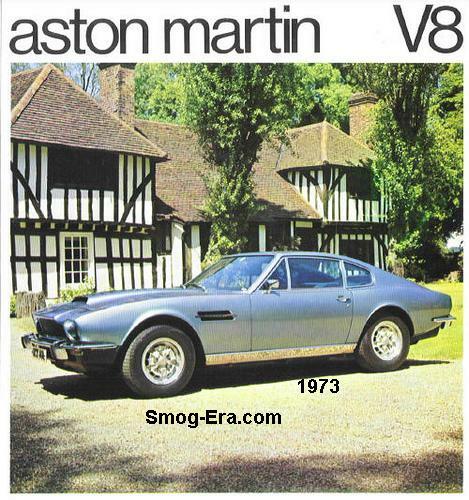 The Aston Martin V8 lasted through the the 1980s.